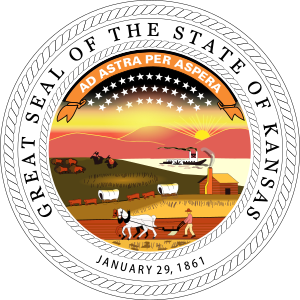 What happens to my Kansas CDL License after DUI arrest? With the passage of the Commercial Motor Vehicle Safety Act of 1986, all states were required to pass certain laws and implement standards for the licensing of commercial motor vehicles. Under the new law Kansas drivers must get a commercial drivers license to operate certain types of vehicles such as trucks and buses. Who needs a Commercial Drivers License? A vehicle with a manufacturer's gross vehicle weight rating (GVWR) of more than 26,000 lbs. A vehicle towing a unit with a manufacturer's GVWR of more than 10,000 lbs. when the GCWR exceeds 26,000 lbs. A vehicle used to 1) to carry 15 or more passengers (excluding the driver), or 2) to carry 15 or less people (including the driver) when carrying children to or from school and home regularly for compensation. How does a DUI affect a Kansas CDL? According to Kansas statute KSA 8-2,142(a), Kansas drivers will have their commercial drivers license suspended for one year if they have been convicted of drunk driving while they are operating a commercial drivers license. The driver can also lose their CDL license if they take the BAC test and their blood alcohol content is 0.04 % or higher or if they refuse to take the BAC test. Note: the BAC level when the driver is actually operating the commercial vehicle is lower than the illegal level when they are operating a non-commercial vehicle. Drivers may also lose their commercial drivers license for one year if they are convicted of drunk driving while they are operating a non-commercial motor vehicle, they either refuse to take a blood alcohol content test when asked to do so by law enforcement officers or they take the blood alcohol content test and their blood alcohol concentration (BAC) is greater than the legal limit of 0.08% or higher. Drivers who are arrested and either refuse or fail the blood alcohol content test a second time with a BAC of 0.04% (if they were operating the commercial motor vehicle at the time of the DUI arrest) will face a lifetime loss of their commercial drivers license. Drivers who are driving a noncommercial license may have their license revoked for life if they either refuse to submit to a BAC test a second time or if they take the test and they fail with a BAC of 0.08% or higher. Under some conditions the Secretary of Revenue may reduce the lifetime suspension issued under KSA 9-2,142(c) to a period of 10 years, or longer. If you have been arrested for drunk driving and you are a commercial driver, contact a DUI lawyer today.